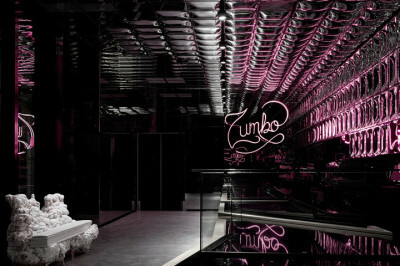 Adriano Zumbo Patisserie maker of macaroon and other pastries created almost a Halloween inspired interior design. 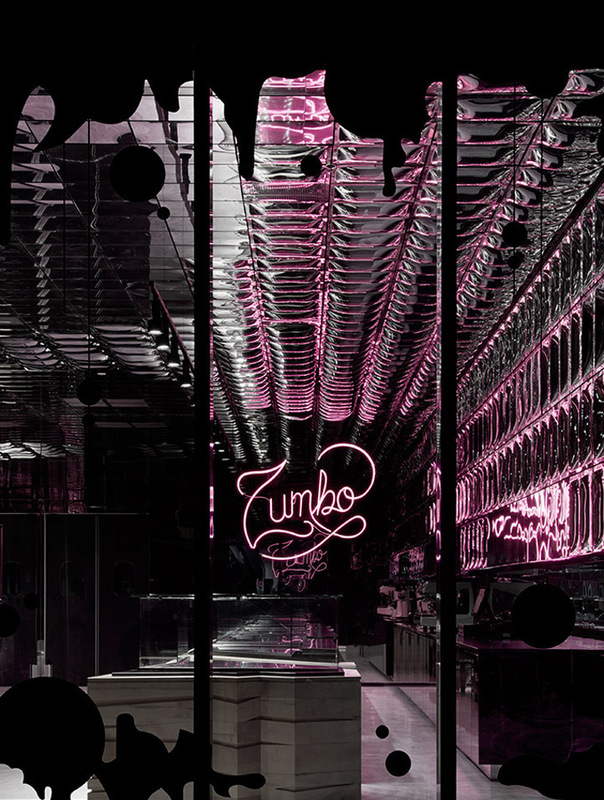 Engineered by interior design students, Masterchef Adriano Zumbo’s new patisserie in Victoria depicts a splash of color, as the one requirement was that the store be partly pink, in a dark environment of mystery. With a pink and black color scheme, students of the Ellen Fraser Graduate School in Melbourne created a dark and modern interior for the patisserie. 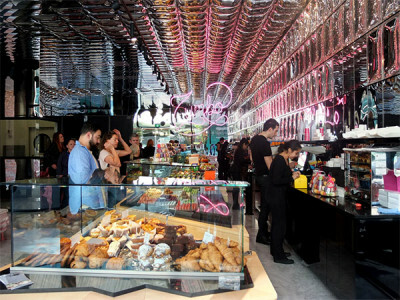 The walls are lined with metalized plastic panels, given a distorted mirror-like quality from the use of aluminum vapor. 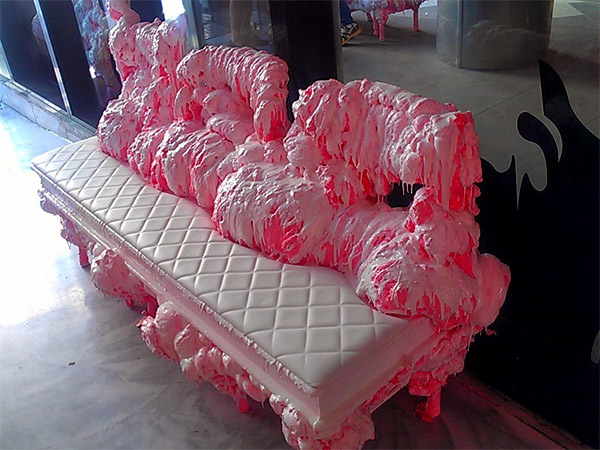 The patisserie’s few seats are made to look like melted candy, placing them more in the realm of decoration than of functional furniture, and daring visitors to sit in their sticky-looking seats. 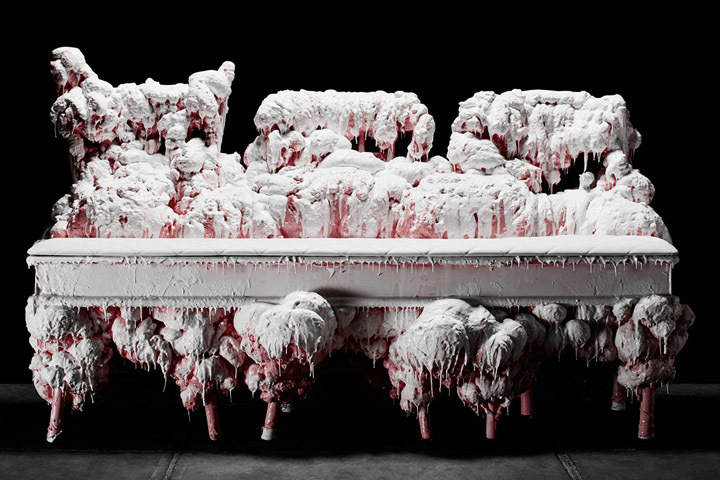 The chairs were made with self-expanding foam and silicone. A neon sign depicts the word Zumbo in a font both modern and inviting, lighting up the room. 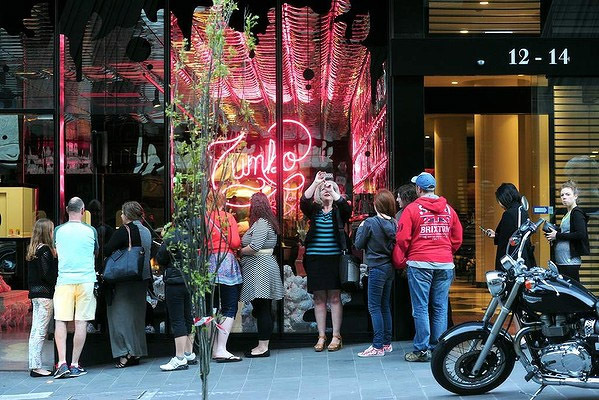 Though some light comes from all around, the main source of light is the pink neon sign, giving the patisserie a nightlife feel. Like any clever new interior designer would, the graduate students used modern technologies to create an interesting environment. The patisserie looks dark as a basement, yet has a splash of color and is lined with mirrors, giving it a more inviting appearance.